The Copystar CS 420i black & white multifunctional system delivers the productivity, flexibility and ultra-reliability that your customers require, all in a bold, black and silver design. 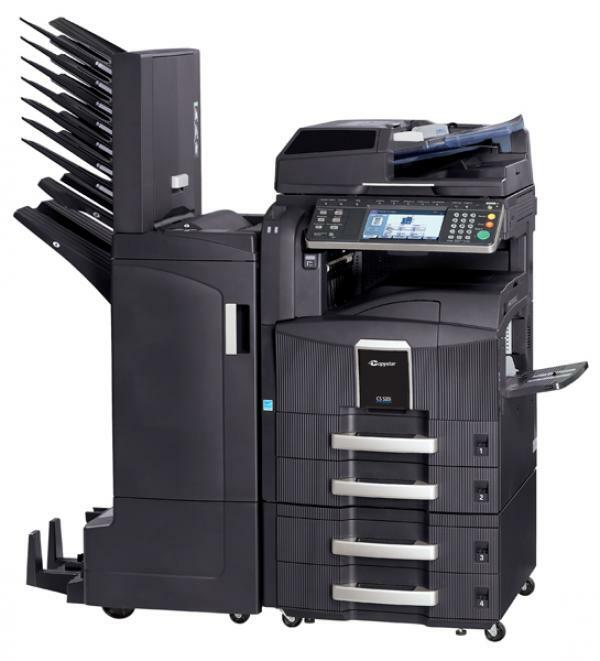 At an impressive 42 ppm, the CS 420i combines unique long life technology and a robust array of features, such as full color scanning and USB print-from and scan-to functionality. Maximize performance with HyPAS, Kyocera’s powerful and scalable software solutions platform. Designed to meet your customers’ specific document imaging requirements, the HyPAS-enabled CS 420i seamlessly integrates with widely accepted software applications and operates in virtually any business environment. Engineered with innovative product features and proven reliability, the Copystar CS 420i will revolutionize the office environment. That’s the Copystar CS 420i.